Primary focus: rudiments and chart reading, and hand development. Drum kit: Hip-hop grooves, Pop grooves, Funk grooves, Reggae, Rock, Dance, and country shuffles. Please let me know if you have any questions. Hello, My name is Jeff Wheeler. I have been playing drum set for 19 years, and teaching drum lessons privately for 6 years. I studied Music Performance at Berklee College of Music as well as Cal State, East Bay. I currently play and perform professionally throughout the San Francisco Bay Area. I work with multiple local acts in the genres of: pop, rock, funk, reggae, and hip-hop. I also perform in the high energy, award winning percussion ensemble known as Street Drum Corps. My inspiration comes from all styles of music, people, performances, and the grooves of the Motown Record catalog. I am an extremely hard working, self motivated artist who is passionate about my craft. I am funny, friendly, outgoing and passionate about performing/touring and teaching drum set. Jeff is a very creative teacher. His play is wonderful. This motivate my son a lot from learning drum with him. My son has a great improve just a few lesson. We all like his hard work and patient be with kid. He is a gentle and polite drummer that impressing us his great play! Jeff totally knows how to let me go off in my own learning direction while keeping me grounded in the fundamentals. He's an excellent teacher. First lesson was great! Will continue learning from Jeff. 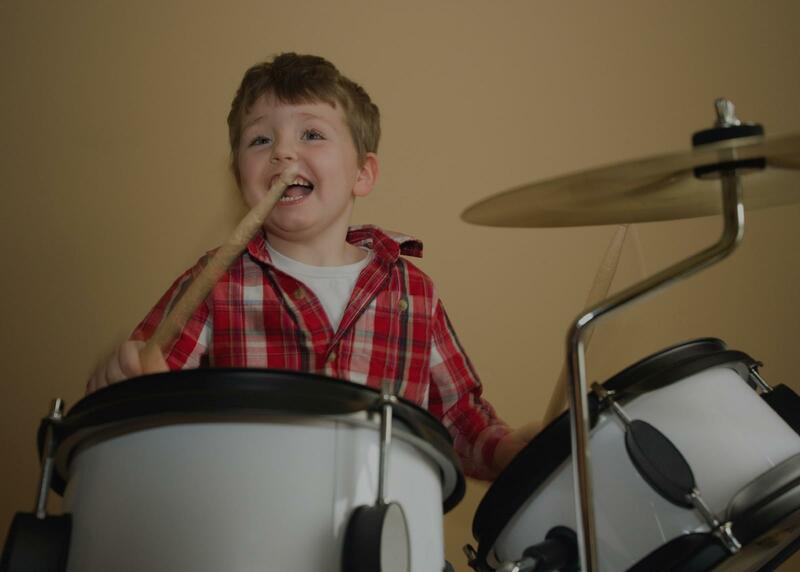 Develop Stick Control, & the skills it requires to have the coordination it takes to Play the Drums. Positive, patient and motivating, 40 years of playing drums & percussion and over 12 years of private instruction with a wealth of music knowledge to share. Lessons are always designed to be educational, engaging & fun, combining a balance of learning notation, playing by ear & performance with other live instruments! We will find out what interests you most and get you on the drum set right away for fast results! ect, courtesy and patience which I find makes them more apt to relax, listen, learn, feel the music and have fun! I really liked John's patient approach to me as a rank beginner. He jumped right into it which I liked so we could take good advantage of our hour together. My 15 year old son is very happy with his electric guitar lessons. He looks forward to his lessons with John. I have been playing drum set for 12 years, and have played in many bands and recording sessions! I love to teach, and help students learn the fundamentals and begin to craft their own unique sound. I also offer discounts in my studio for any students in bands, and can give time for students to sit in at practices with my bands to earn very valuable experiences! I am a professional drummer, composer and audio engineer/producer! Currently in grad school furthering my studies in Film Music Composition! I have been playing drums since middle school and recording and composing since high school. - and I can't wait to help create your identity as a musician! My process is an accelerated method that helps kids and adults alike to reach a basic understanding of music and potentially be playing songs in just a few lessons! Arin has always loved music from an early age. He has been singing all of his life, and has been continuing to learn new instruments along the way. His musical influences include Passion, Vertical Worship, Elevation Worship, RED, As We Ascend, and many more. Arin's favorite thing about music is how it can be a personal therapy and sense of self-expression, and his favorite thing about teaching music is helping others to feel a sense of fulfillment and passion by giving them a band-like experience. When taking lessons with Arin you can expect patience, open-mindedness, and a desire to help however possible. He looks forward to getting to know you as a student and learning about your specific goals, interests, and learning style. Book a lesson now and get connected right away! at my son will be expected to know for his first year of band in the fall. Atlanta, GA teacher: Jimmie H.
ever so patient and polite and - most of all - so funny and inspiring while teaching my child! Just within these three months passed David has made such remarkable progress, playing many new rhythms and patterns, doing drum solos for minutes and improving his whole attitude. If you want a positive chemistry for your child's musical development I can fully recommend Casey as an instructor." onable guy who I would highly reccomend to anyone who wants to learn how to drum, or just wants to better their current abilities!"